Every year we get together with family and friends to give thanks for the year’s harvest and one of the most exciting places to do that is in beautiful Niagara Falls. This October 9th, visit the city for some amazing Thanksgiving experiences and get ready to give thanks in one of the country’s most remarkable destinations. 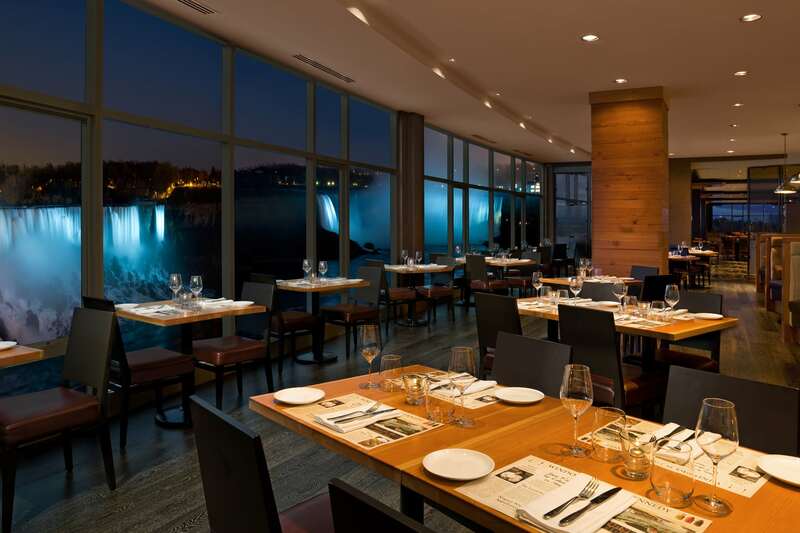 For a delicious dinner with breathtaking views of the Horseshoe and American Falls, look no further than Windows by Jamie Kennedy Fresh Grill & Wine Bar. 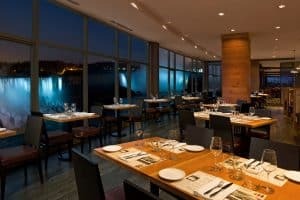 At Windows you can really appreciate Niagara’s fall harvest and connect with the local farm-to-table movement by indulging in inventive seasonal dishes like Ontario Lamb Rack, B.C. Snapper, Stuffed Capon Supreme, and Pork Tenderloin. This popular annual festival is the perfect place to spend some time with family this Thanksgiving weekend. Running October 6th to 9th, the Ball’s Falls festival will feature a wide range of amazing artisan vendors, great food stands, live entertainment, a farmer’s market, and more. The festival runs from 10am until 5pm at the Ball’s Falls Conservation Area in Jordan, so don’t miss out. 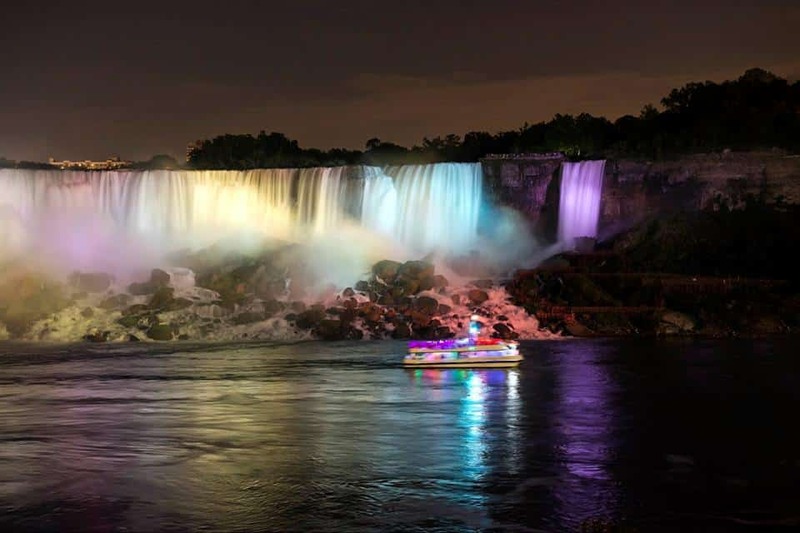 Take a walk down by the Falls on the night of October 9th and marvel at the beauty of the illuminated waterfalls and historic Skylon Tower. The tower will be beautifully lit up in gold lights in honour of Canadian Thanksgiving, making the night sky over Niagara Falls into something truly spectacular. Driving, walking, or cycling along the Niagara Parkway in fall is one of the most amazing ways to experience the natural beauty of Niagara Falls and take in the incredible colours of the season’s foliage. From Niagara Falls, the scenic Parkway will lead you into the heart of Niagara on the Lake’s wine country and features a number of amazing stops along the way, like the incredible Niagara Glen. If you’re looking for a relaxed place to spend time this Thanksgiving weekend, Niagara Brewing Company is a spot that’s sure to fit the bill. With awesome brews like Pumpkin Spiced Ale, Clockwork Berliner Weisse, and Best Bitter on the rotating taps and signature brews like Niagara Premium Lager, Honeymoon Peach Radler, Beerdevil IPA, and Amber Eh! Ale you’re sure to find a beer that you love. The brewery also has a food menu, live musical performances and Hoppy Hour specials everyday, making it a great spot to sit back and enjoy good beer and food with friends or family.